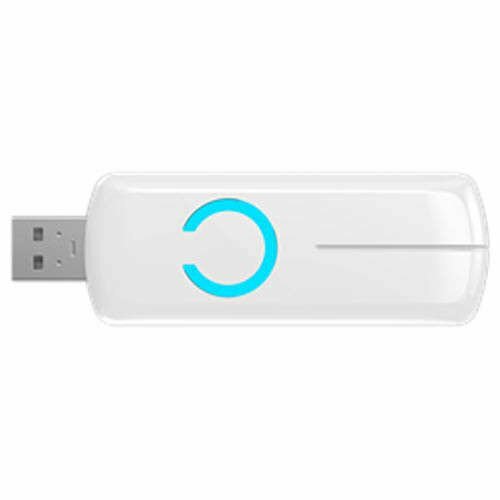 Aeotec Z-Stick is a smart USB dongle that makes your computer the heart of your Z-Wave network. It enables you to create a remote network that's capable of controlling all aspects of your Z-Wave home automation system. The smart USB stick can be used in conjunction with home automation software to manage up to 232 Z-Wave devices connected in your network. The USB controller includes a battery and a simple push button that makes it easy and convenient to connect any computer with the Z-Wave network. In fact, the plug-and-play device can be connected with your PC, Laptop, Mac, and even embedded computer systems like Raspberry Pi to include/exclude modules or connect to any Z-wave devices that's discoverable in your mesh. Aeon Labs Z-Stick is fully compatible with Linux, Mac, Windows XP, Vista and Windows 7 systems, and can be operated through software, like, Homeseer, Indigo, Z-Way and Domoticz. When configured with a Z-wave network, Z-Stick can potentially turn your personal computer into a central controller/hub of your home automation system.